That’s Hobo on the left. And what is that larger vessel? Although I was told it was a supply vessel, a little hunting turned up another category, a botruc . . . or bo-truc. 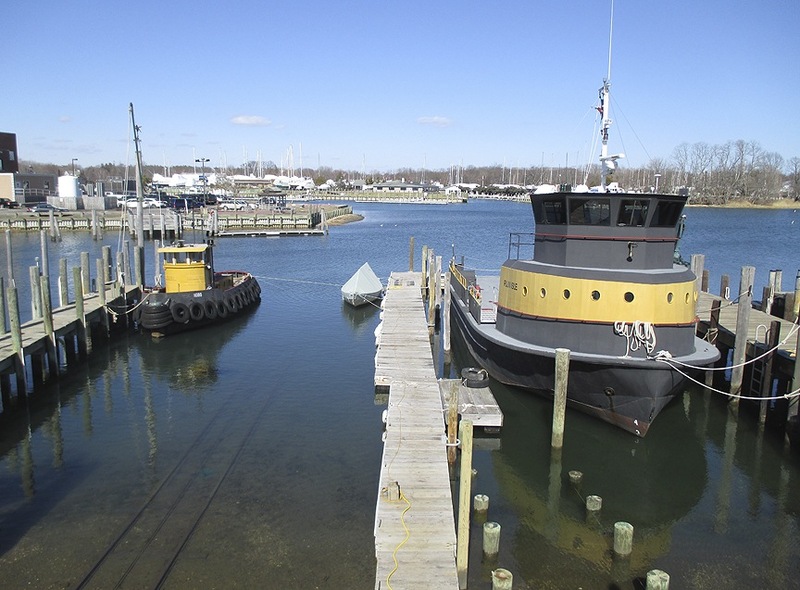 Here, according to the owner, the yellow stripe was added to make the vessel–which has spent most of its life serving the island with the DoHS research facility and NOT the island where I used to live— appear less ominous. 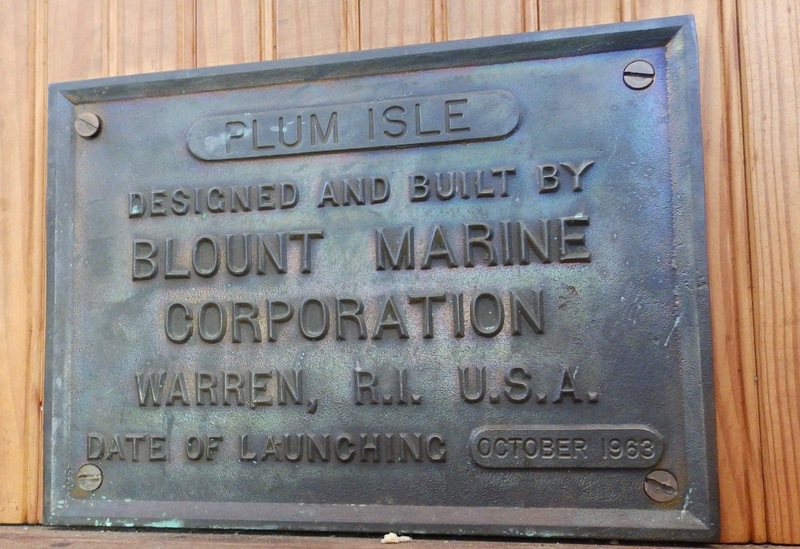 I’ve done lots of posts featuring Blount boats. Click here for the list. Check hull #94. This is what Plum Isle looked like in 1963. It introduces a new word . . . botruc, quite the 1960s word. Here’s another. 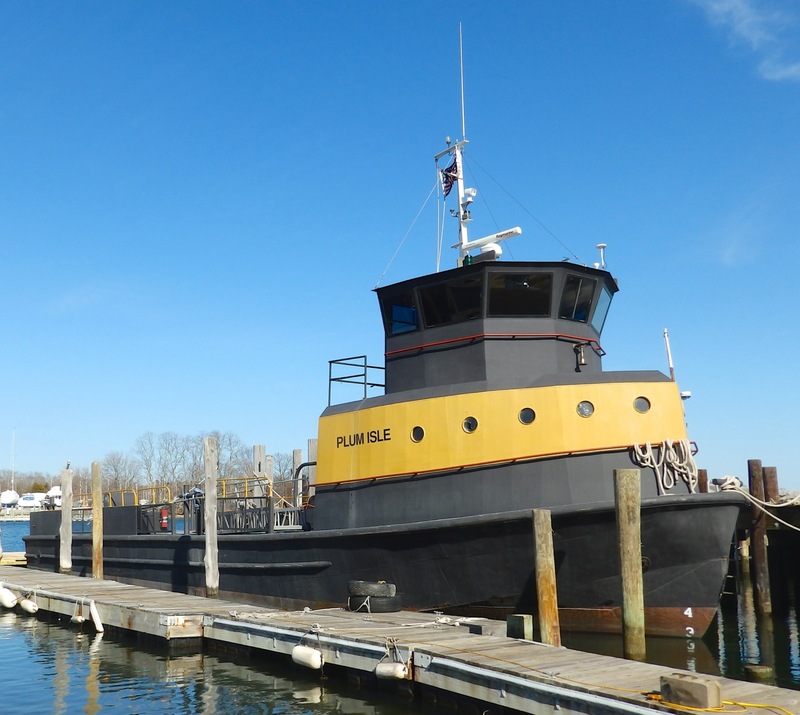 Click here for a photo of a vessel with similar lines, the Blount-built Sailor, a lube tanker that worked–or still works–on the Delaware. So . . does this new word apply to Rosemary as well? Bopickups? And Danalith . 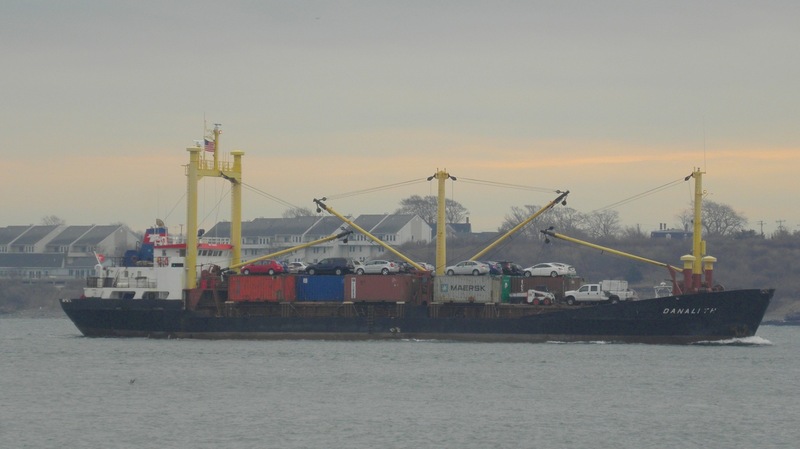 . . here headed for Cape Verde, is she a shi-cars? All photos except the archival one by Will Van Dorp. I am sorry but Botruck is just wrong. By the sacred traditions of the sea, it should end in an “o” sound. If the cargo is driven on, it could also be a ro-bo (which would also give it a theme song. — “ro, ro, or your bo….”) or if lift on it could be a lo-bo, which has a certain wolfish cache. In a world of ro-ros, lo-los, wo-wos (walk-on-walk off), Obos (ore-bulk-oil), Oos (Ore-oiler), VLOOs (Very Large OO) and Flo-flos (Float on-float off), Botruck just doesn’t cut it. Perhaps, truckbo, if all else fails. point well taken . . but my guess is that Blount deserves a wider hearing by virtue of their using “bo-truc” before precedence. it appears they were using this term already in the early 60s, before –i think–RORO. wider hearing is now open; i invite others to opine. Back in the 80’s there was a gulf of Mexico supply boat company called Botruk or Botruck. They had unique boats with high rounded bows, kind of Dutch looking. an evolutionary precursor design to Ulstein’s X-bow maybe? The SAILOR is still on the Delaware River , running out of Wilmington DE. 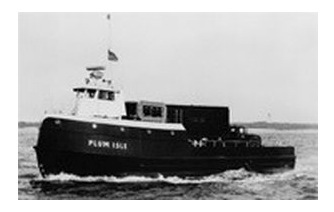 The Fishers Island Ferry was a Boatruc as well, and looked very similar to the file photo of the Plum Island. It was converted in the 80s to a dinner cruise boat, enclosing the auto deck. 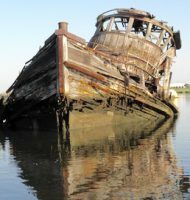 She ran out of Bridgeport till the winter of 93-94, where she was taken to Thames Shipyard in New London and converted to a gambling boat. I delivered her from there to Tarpon Springs FL in January 94. They thought her “too ugly” and sold her; to whom, I don’t know. 2, 12-cyl Detroits for power and she still had the ferry wheels. Big torque but no speed to speak of. 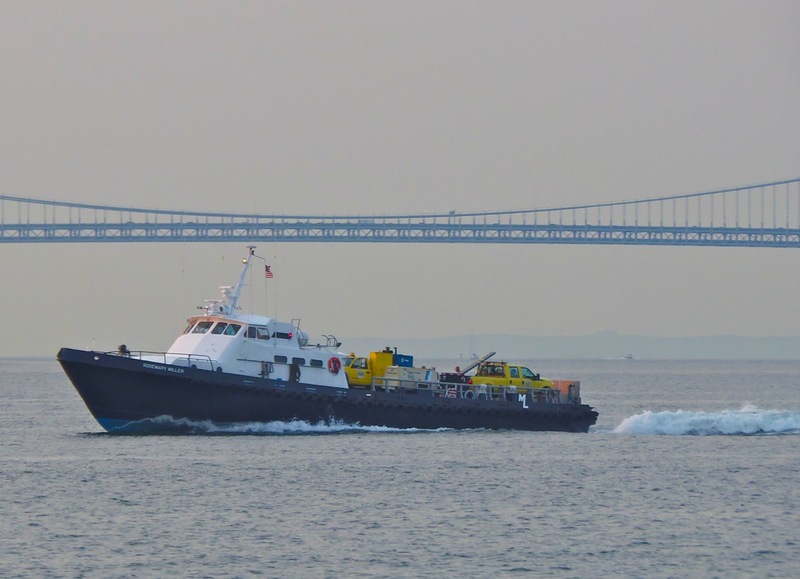 There is still a supply-boat company which runs similar boats around the Mississippi R passes, to the near oil fields. They have names like Boatruc 34, and like that. I was given to understand that they were built in the Gulf somewhere under license from Luther Blount. That’s a great book – highly recommend! Merrill– Thx for the book reference. I will check it out.